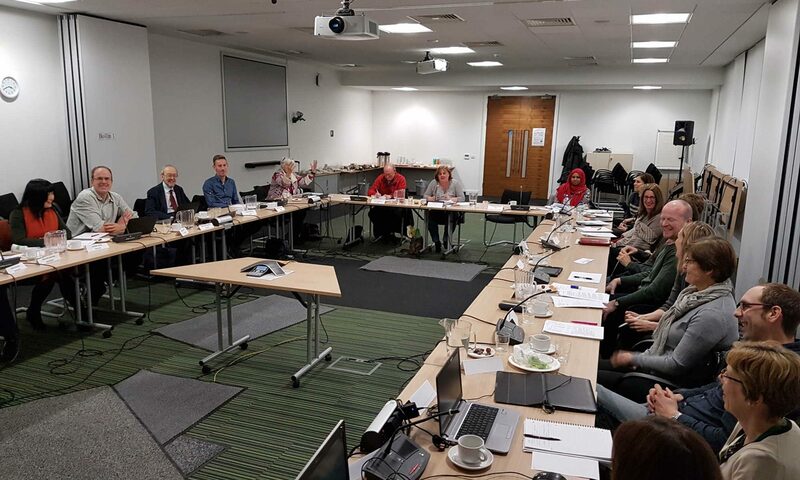 The InterTASC Test Methods Sub-Group is convened by members of InterTASC teams to discuss issues relating to the NICE Diagnostics Assessment Programme and methodology for the assessment of tests. The NICE Diagnostics Assessment Programme (DAP) assesses diagnostic technologies for use in the NHS, and particularly where a new technology cannot be demonstrated to be universally similar or superior to an existing technology. InterTASC teams participate in the NICE DAP as External Assessment Groups (EAGs). They review existing evidence on the clinical effectiveness of the technologies, often including evidence on the diagnostic accuracy of tests, and evidence on the downstream impact of testing on patient outcomes. They will also review economic evidence and usually develop a model for an economic evaluation of the tests. EAGs produce a Diagnostics Assessment Report (DAR) for each assessment, which is then considered by a Diagnostics Advisory Committee. InterTASC teams are sometimes commissioned by the NIHR HTA Programme to conduct external reviews on behalf of the UK NSC. The InterTASC test methods sub-group aims to improve the way medical tests are assessed for use in the NHS, to reduce the inappropriate use of tests and to support the introduction of tests which benefit patients and the NHS. The sub-group concentrates on the process of assessment of tests as well as the methods used to assess tests. The sub-group will also be involved in developing research proposals to develop methodology in the area of test assessment.